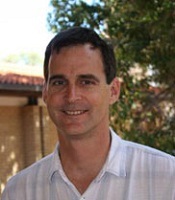 Adrian Baddeley is a leading researcher in spatial statistics and a Science Fellow with CSIRO. He was elected fellow of the Australian Academy of Science (2000) and of the Australian Academy of Technological Sciences and Engineering. For his work, he was awarded in 2001 the Hannan Medal in Mathematical Sciences and in 1995 the Australian Mathematical Society Medal. If you know more about Adrian Baddeley and you want to contribute, please complete the form on the Contribute page. Professor Adrian Baddeley, leading researcher in spatial statistics and world authority on stereology.